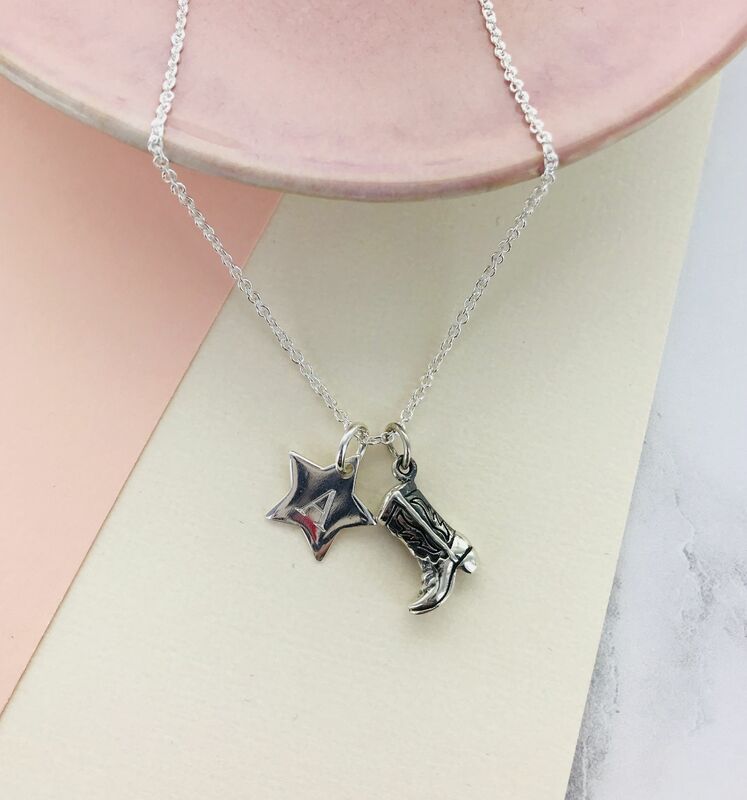 A fabulous sterling silver necklace with a silver three dimensional cowboy boot and personalised star charm. A beautiful sterling silver three dimensional cowboy boot and star charm necklace that would make a great gift for anyone of any age. Personalised with an initial of your choice, It would make a fun birthday, anniversary or gift just for you! 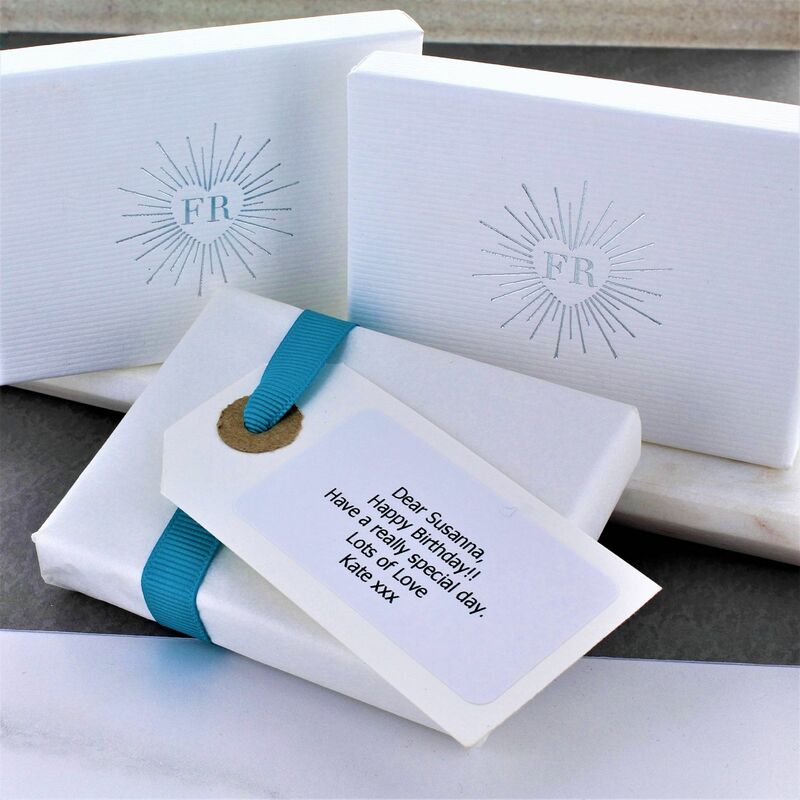 Each necklace arrives in an attractive white gift box with a contrasting silver logo. Available with a 16" or 18" chain.